The previous day Union screening forces along a section of the Rappahannock river were driven back allowing Confederate troops to cross. Lee pressed the retreating Union forces who on the morning of the 23rd of August reformed in the vicinity of Praxton Creek, just north of Rappahannock Station. By 2pm General Lee deployed only a small portion of his forces in the area. 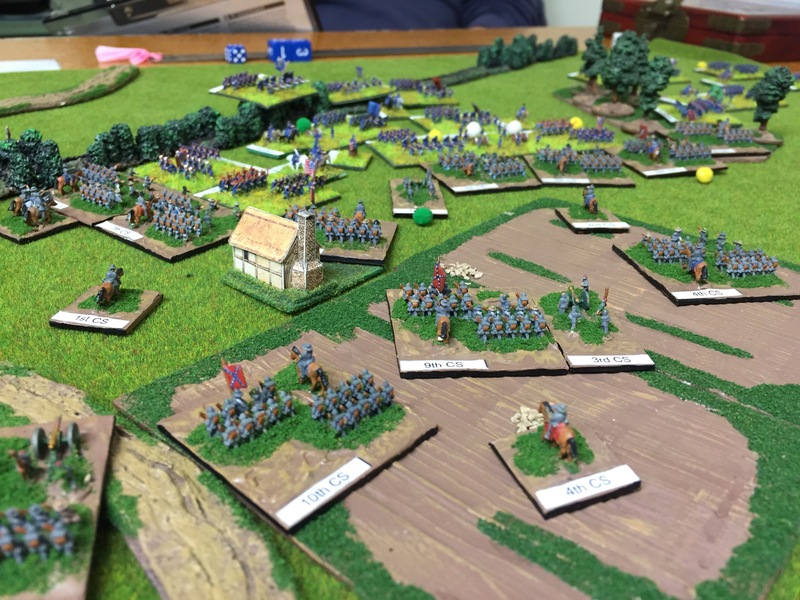 Some 28,000 infantry, 2000 cavalry and some 54 cannon. Organised into two wings, and comprising six divisions, these troops represented those formations immediate available. The other formations of Lee’s army were unlikely to arrive by sunset. The exception being Ewell’s Division of Jackson’s Wing and his artillery reserve of 24 guns. However, Ewell’s division of 7000 men organised into four brigades, was at least three hours from the field. Facing them, separated by the meandering Paxton Creek, were elements of Major General John Pope command. With Union forces initially outnumbered Lee determined to maintain pressure, despite being aware that Union reinforcements would soon arrive. Praxton Creek lay around 2400 yards from Confederate lines and generally ran from the west to the east. Opposite the rebel centre was Stone Bridge. West of the Stone Bridge, extending to the Union right, Paxton Creek become considerably marshy while to the east its banks were firm though lined with numerous trees. The marshy western section significantly restricted rebel options as the marshy creek would significantly hamper movement of artillery needed to support any attacks. 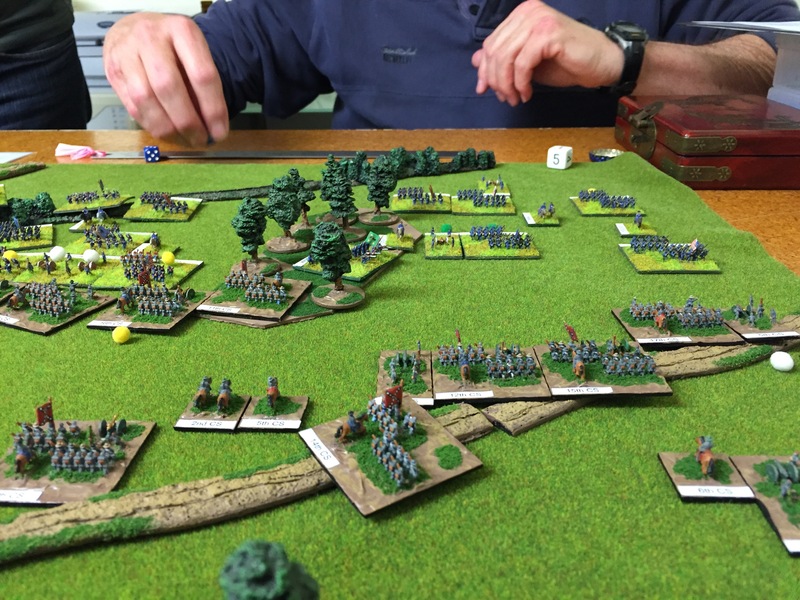 After deliberation Lee decided his forces already deployed would make a general shift of to the right and attack the Union centre and left. General Jackson was confident the Union forces would cross the Paxton Creek and General Longstreet’s divisions would then be able to attack parallel to the creek. However, such a move would extend further the distance Ewell’s Division would have to cover before reaching the area of the engagement. It was hoped that a road running parallel to Paxton Creek, and behind Confederate lines, would compensate somewhat for the distances Ewell’s powerful division would need to cover. By 4pm the Confederate troops were generally repositioned, with the exception of Hood’s and Kemper’s Divisions. These divisions, having been on the Confederate left, had been slowed by crossing Older’s Branch, a small creek which flowed into the western section of Paxton Creek. Confederate preparatory attacks opened on the flanks rather than the centre. On the right three brigades of Taliaferro’s Division advanced to engage elements of a Union division thrown out forward of Paxton Creek. Two of his brigades were soon engaged in an extended firefight in a wooded area while additional brigades extended further to the right. Simultaneously Rebel cavalry on the left, Robinson’s cavalry brigade of General Stuart’s cavalry division, advanced and engaged raw Union cavalry in the open ground northwest of Stone Bridge. General Stuart having been ordered to demonstrate against the Union right was determined to press the enemy. In hindsight his attacks were pressed with too great an élan. 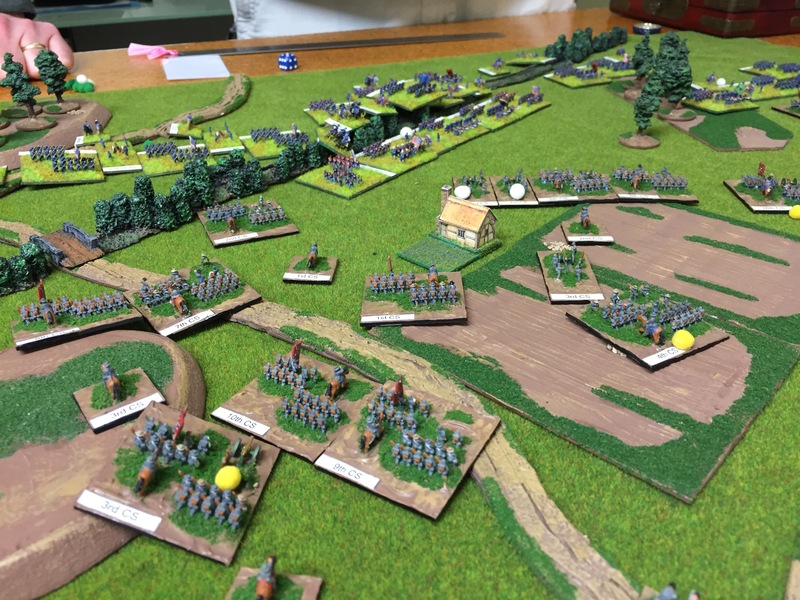 As a result Robinson’s Brigade fell back in disorder while Union cavalry and infantry pressed forward. Such were the determination of these attacks that Stuart’s cavalry division was forced back in considerable disorder. Between 3pm and 5pm several additional Union divisions deployed on to the battlefield, reinforcing the Union centre. Bolstered by these new divisions Union forces now outnumbered Confederates forces, though a number of Union divisions were recently raised and therefore poorly drilled. Lee therefore decided to press the Union troops further, hoping to gain advantage in a fluid battle. Just prior Rebel attacks being set in motion three Union divisions crossed Paxton Creek. Brigade after brigade crossed and formed on the south side of the creek. It would seem that General Pope has a more aggressive nature than General McClellan had demonstrated during the Peninsula Campaign. Longstreet reordered his divisions and ordered a general advance. Anderson’s Division went directly forward supported by 24 cannon and extended to the right and echloned back by three further brigades of Jones’ Division. These formed a line 100 yards north of Widow Wyatt’s Farm and extending east through the Wyatt cornfields. In the ensuring attacks both Armistead’s and Wright’s Brigades were thrown back, as was Toomb’s Brigade from Jones’ Division. Below, the situation after the failed Confederate attack in the centre. Paxton Creek can be easily distinguished. By 6pm yet more Union troops had crossed Paxton Creek further stabilising the Union position. General Pope was extremely active encouraging his troops who remained vulnerable to determined attack. Around 7pm Confederate troops surged forward in an attempt to dislodge the Union forces and roll up the line. In all seven brigades were thrown in to the attacks. The grey and butternut brigades on the right were first to go in. Garrett’s Brigade, while disordered in the advance, routed a Union brigade causing a chain reaction impacting a division. However, other Union brigades held their ground. While southern patriots fought with great determination they were unable to dislodge the Union line now well supported by artillery. Even Hood’s Texans, who had demonstrated such determination at Gaines’ Mill, failed to break the Union line and were themselves forced back. On the extreme right other brigades of Taliaferro’s Division were now pressed by a slow but methodical Union advance, as shown below. While Ewell’s division had shaken out into line it’s delayed arrival and the time taken to deploy from road column to field formation restricted the impact these troops would have on the battle. 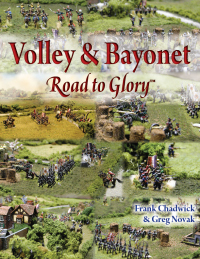 This game report is of a fictional American Civil War engagement set in August 1862. As is often the case we developed the scenario with the card based Road to Glory scenario system. Both armies comprised 3000 points. The Union players used Card 13 “Build-up Echelon Left” while Confederate forces used Card 15 “Returning Detachment -Right”. This placed the burden of attack with the Confederates, by a small margin. Figures are 6mm Heroics & Ros. Good looking game. Should there have been more woods? What effect did you apply for crossing the marshy stream? The area of the battle was hypothetical, we only set the year when building the OOB. I later set the battle in this area as part of a fictional story line to align with the OOB which I had used for my army, which was based on August 1862. That said there were a number of woods, some areas extremely large in area. It’s just that they were not in the area of my photos. For example the area where Stuart’s Cavalry crossed were dominated by woods, excluding a small area he used as the axis of his advance. This caused considerable issues when his division was forced to retreat. Behind the Rebel lines were also heavily wooded. The marshy banked streams were as per the rules. However, once the terrain is placed we roll to determine which sections of stream are marshy banked. In this game they were all on the Union right. This method creates some interesting variation to the games. For this game whoever went over to the attack would have some additional challenges caused by the marshy sections.